Situated in Moosup, this motel is within 9 mi (15 km) of Prudence Crandall Museum, Brooklyn Country Club, and Davis Park. Old Furnace State Park and Hopeville Pond State Park are also within 12 mi (20 km). Offering a stylish getaway for gamers, music fans, and spa-goers, this high-rise hotel is linked by indoor moving walkways to the giant Foxwoods Resort Casino complex in southeastern Connecticut. Mystic Seaport is 9 miles south. Located in the heart of scenic Connecticut, between Boston, New York City, Providence, and Hartford, Mohegan Sun is a 15-minute drive from the wineries, golf courses, museums, and picturesque waterfront of Mystic Country. 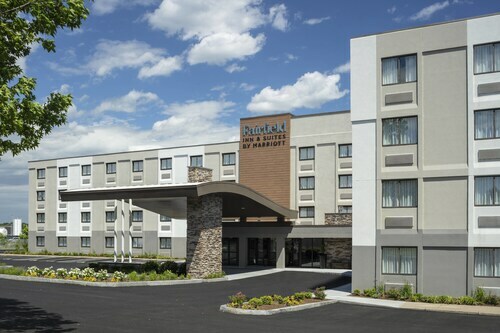 Located in quiet Uncasville, just off highway CT-2A, Hyatt Place Mohegan Sun is a 7-minute drive from Mohegan Sun Casino. Guests can reach the Slater Memorial Museum in 15 minutes by car, and Mystic Seaport, a large maritime museum, in around 25 minutes. How Much is a Hotel Room in Moosup? Hotels in Moosup start at $80 per night. Prices and availability subject to change. Additional terms may apply. Wandering in Willington? If you're looking to get a feel of the city, research places to base your trip which are right near the center of Moosup. The city center and surrounds of Moosup offers 4 comfortable accommodations within easy driving distance. Within driving distance of Moosup, are the Holiday Inn Express Hotel & Suites Plainfield and Quality Inn Plainfield. 17 miles (27 kilometers) outside of the main part of Moosup, you will find the Grand Pequot Tower at Foxwoods. The Great Cedar Hotel at Foxwoods is approximately 16 miles (27 kilometers) away. The The Fox Tower at Foxwoods along with the The Spa at Norwich Inn are two other Travelocity-listed places to book accommodation in Moosup. The nearest hotels in Willington include Putnam Heights and Plainfield. Putnam Heights is 13 miles (22 kilometers) to the north of Moosup, while Plainfield is 4 miles (6 kilometers) to the north. 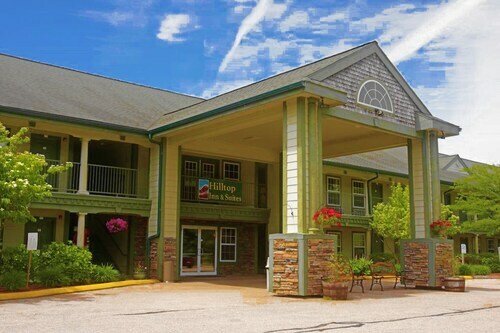 Hotels and apartments in Putnam Heights include the Comfort Inn & Suites and Americas Best Value Inn. The Knights Inn Plainfield and Kautilya Inn & Suites are some of the hotel options in Plainfield. If you are into sports and love attending thrilling clashes you might decide to visit Fenway Park, which is found 60 miles (95 kilometers) to the northeast of Moosup. Travelocity readers that are thinking about checking in to a room not far away, reserve a room in the Mandarin Oriental Boston or Four Seasons Hotel Boston. If you're flying into or out of T.F. 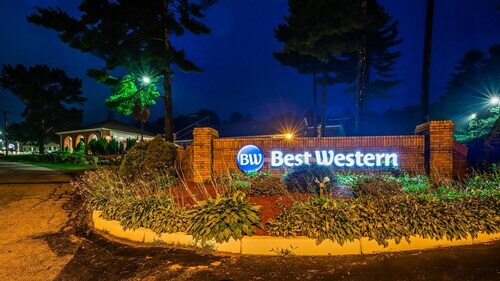 Green Airport and desire to find a Travelocity-listed room in the area, check out Crowne Plaza Providence-Warwick Airport or Residence Inn By Marriott Providence Warwick. Clean and spacious good location restaurants and casinos close by. Overall happy, very nice front desk staff, great complimentary evening reception - pulled pork sandwiches, chips and salad. Nice indoor pool. Room nice but can tell the carpet was not vacuumed, crumbs and lots of stray hairs, sticky stuff on couch/corner chair - Makes for an uncomfortable stay. Very nice hotel! Clean, new, good location. Definitely will stay next time. Even though its at the airport, didn’t hear a single thing from the airport. Very convenient to I-95, gas, and restaurants. The indoor heated pool was not operational otherwise I would have rated the property as excellent.